This past weekend I visited Napa Valley. 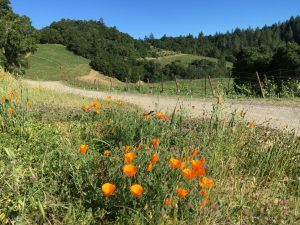 I had signed up for a Stanford Continuing Education Course, “The Geology of Napa Valley”. 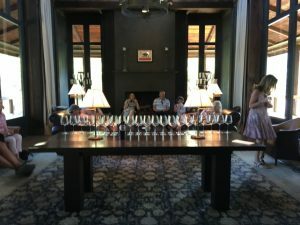 Here was my opportunity to learn about the underlying terroir in Napa, and visit some of the most exclusive and celebrated wineries of the area. 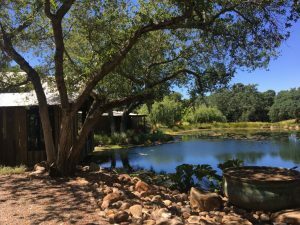 Our itinerary included Oakville Ranch, Rudd, Groth, Swanson, Opus One, Mondavi, Paradigm, MacDonald, Hoopes, and Harlan Estates. At each venu we were privileged to hear from an owner, a winemaker or a viticulturalist who spoke to the unique place that they represented. Our professor, David Howell, offered us an overview of the various soils that make up the “terroir” and their origins. 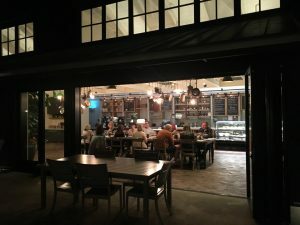 Our dinner was a fabulous 5 course meal at Brasswood in Calistoga. It’s hard to beat such an idyllic setting for a weekend getaway.